So you know I've decided to call myself Character. Silent character in my last name, couldn't very well call myself The C Is Silent (even though that might as well be my rushed breath fourth name Jessica Clare Griscti The C Is Silent). So, giant flourishing C, several hours on a track-pad with the pen tool, a drop shadow, but it's retro and crafty and pretty. Pin up on Monday (we'll get to the ridiculousness of the first formal crit a week and a half from the deadline on this four week project later), they send us away and do the judging in without anyone there to explain--I get it, I can't hold everyone's hand. It's the letter from my last name! See? Don't you C it? Okay. It's too pretty, it's too ...antique, it's boring. But it got so many likes on Instagram! You want flat sans-serif and/or overwrought patterning. I'll give it a shot. But they don't like that either. So I'm screwing around in my spare time--oh, the abundances of it I have here. Do you know horses clopped down the street outside my dorm midafternoon today? What is England, some kind of fairyland?--So it's called Character. Characters are letters, but also symbols. I have a delightfully nerdy boyfriend so I know about this language called 1337 (pronounced Leet) where letters are replaced with other characters. Well, that's marginally clever. © |-| /\ |2 @ ( 7 £ |? That's how you spell Character in 1337. Not exactly what you'd call legible, yeah? But they love it. Only, I'm not allowed to use the pound sign, because I'm not British, and that's irrelevant to me. Do I just bleed American blood or something? At least it helps me stand out from the herd. So I had these grand notions of movie-television show inspired by inforgraphics in all of the cities I visit. 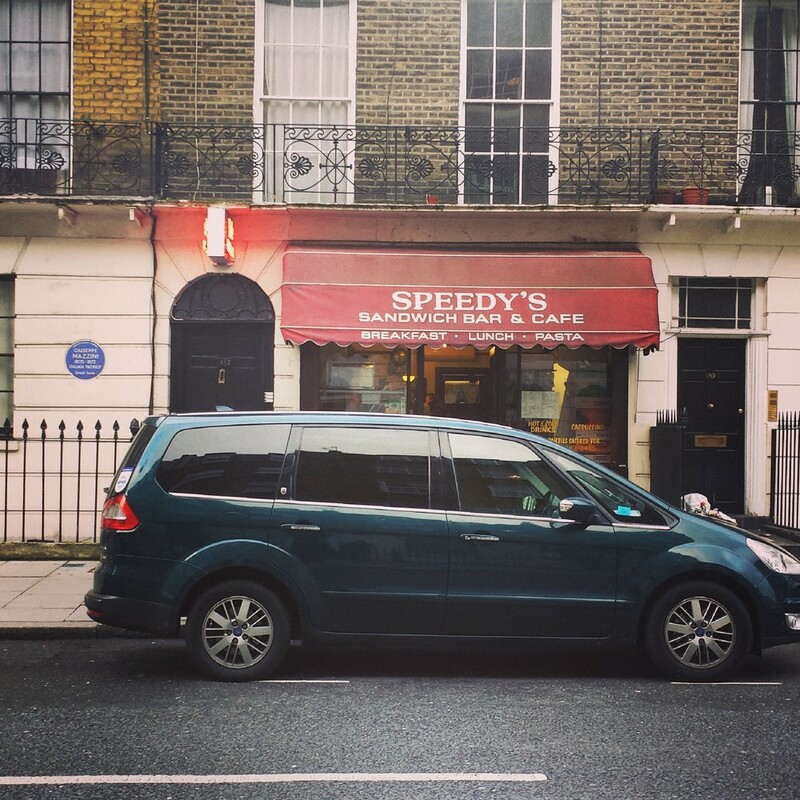 We popped by 221b Baker Street, the Tardis outside Earl's Court, and Platform 9¾, I was going to do the Friends Building and Monk's in NYC. But they don't get the connection between Character the letterform and Character like ...characters in stories. "Push this symbols idea," Chris and Chris Squared wave back to the other end of my screen. "That's there. You've got it." People are doing all kinds of bonkers nonsense. Some guy dragged a desk out into the middle of the park and photographed himself sitting at it. It's brilliant, but it's also like some highbrow fine arts hullaballoo people nod and call astounding because they don't get. I don't get it--I mean if I had to write an essay on it, I would get it--and that's probably why is phenomenal. And others are projecting logos onto famous buildings, and starting sticker campaigns and oragami business cards. There are oxymoronic studio names, and clever ones you can twist into a hundred different sentences. Others are confused as me, but there is one recurring theme. All of my favorites are consistently shot down by Chris Squared. This is the difference between Britain and America then. Well, long story short, if you wander around a design school library for long enough, you're bound to come across something that inspires you. It took me all of thirty seconds inside the glass door. I'll make an alphabet, a nice fold out poster where every letter is actually a symbol. 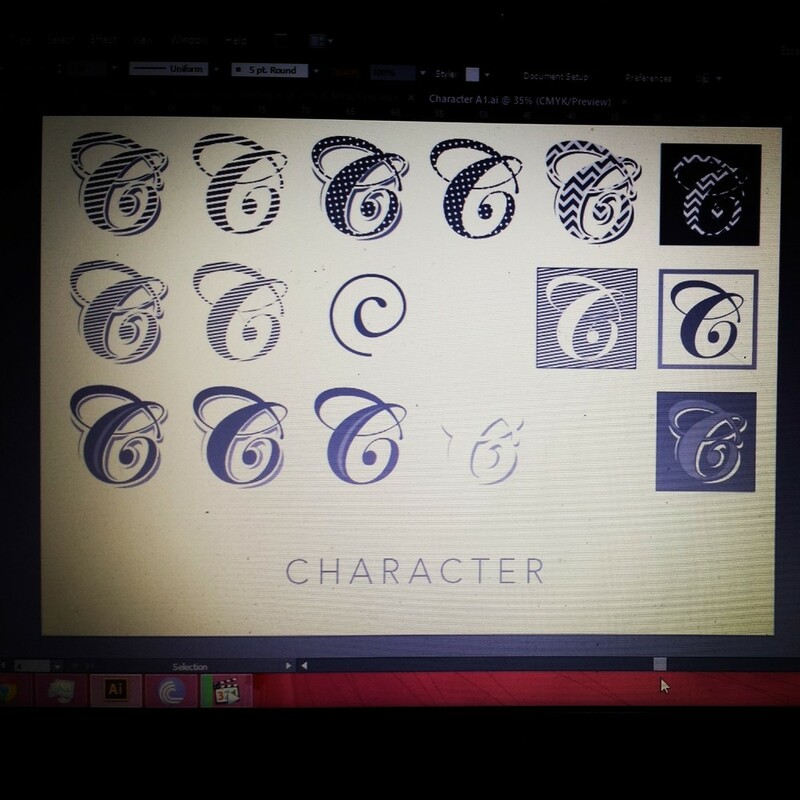 There will be unicodes, a brief history of the character, html codes, the symbol in use. It will be brilliant, and conveniently, a lot less work than those ridiculously complicated Seinfeld graphics I has swirling around in my head. Suddenly, business cards popped forth, and stationary, and giffed logograms, provided I can teach myself to gif. So you think it would be reasonable, that before I spend all weekend working on this (around the ill-timed trip to Paris) , to just pop back into the classroom and see if I was heading in the right direction? Well, with 74 people in the class, one on one critique time is kind of at a premium. I loathe disorganization and giant class sizes. And as much fun as it is to sit around with my classmates bemoaning the tutor's assholeic tendencies, and their predisposition to hate everything we come up with, it's so terribly unproductive, and this knot in my stomach and that deadline aren't getting any farther away. In short, hold my hands and say it with me UAL, Smaller Class Sizes. Because at this rate, I'm not getting another crit till Monday, two days before the brief is up. And that's just prime for all kinds of panic. But I think I've finally cracked it. It's stark sans serif, sassy colors, hipster vibe and it's 100% typography. But this is my final offer, gents. Shame if you don't like it, I kind of love it. English people turn off their cars when they are stopped at a red light. you can hear them flipping engines back on like a chorus of asthmatics running everytime you cross the street. There is no flavored seltzer water anywhere in this country. Must then obviously switch to Tonic & Gin. Similarly, ice cream is really expensive. And therefore a rare treat. For the love of god stop putting Tuna on everything. Mozzerella, Pesto and Tomato panini. And I swear to god, I think you put Tuna on it, because it is brown and stringy like a fish and if it's not raw I hate and and WHAT IS YOUR PROBLEM, YOU ARE SO CLOSE TO ITALY AND YET SO FAR. The circle line is a nightmare of confused. NYC Subway forever. Don't look at me like I'm a nerd. 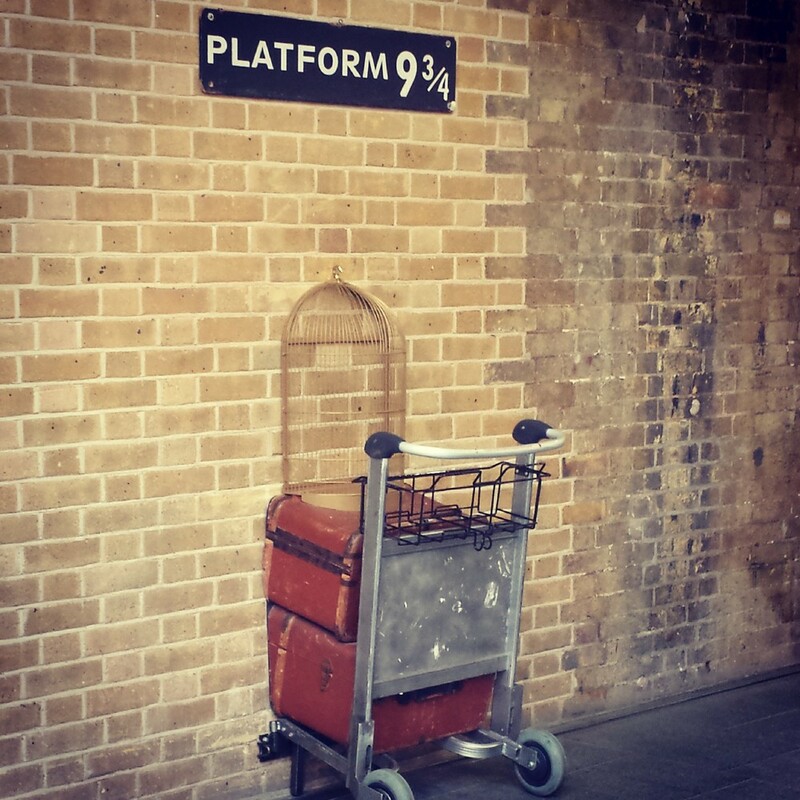 Go stand on line to have your photo taken at Platform 9¾, it will be the best free five minutes of your life. They have people there who wrap you in a House scarf of your choice and stand behind you to throw it in the air as the other snaps the photo so it looks like it's billowing out behind you. And they give you wands and stage duels too. And it's so nerdy it's perfect.